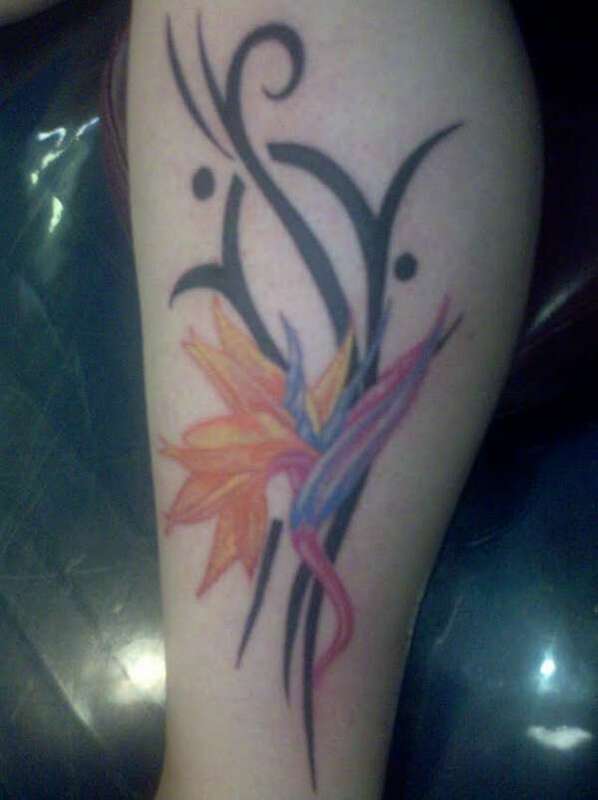 This is my bird of paradise flower and tribal. This is on my left calf. It was done by Nichole in Abilene Texas at the Ink Image.